Yankee Candle 2018 – DeafBlind Camp of Maryland, Inc.
DeafBlind Camp of Maryland, Inc.
It’s that time of year again. 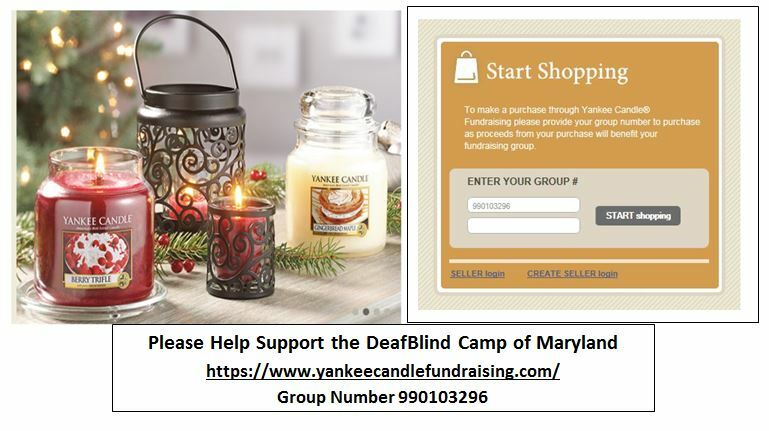 DeafBlind Camp is doing our Yankee Candle Fundraiser. Please help us raise money for camp by ordering and/or sharing this post. Every little bit counts. Order now through 12/31/2018. Questions or Comments about this website, please email [email protected].